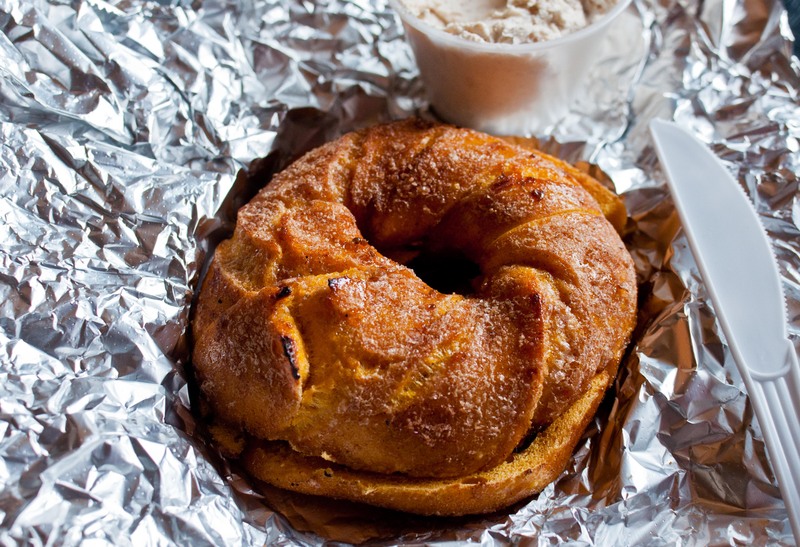 Have you ever had a french toast bagel? MD introduced me to this wonderful breakfast concoction only found at Bricktown Bagels in LIC. The eggy bagel has a soft interior with a sugary caramelized exterior that crunches delightfully with each bite. While the french toast bagel toasted with peanut butter and jelly is MD’s regular order, I enjoy it only on special occasions or whenever I crave something sweet like this past Sunday. Toasted with the raisin cinnamon cream cheese, this was delicious even though it didn’t make for the best picture.